Updating its 2017 line-up, Honda Motorcycle & Scooter India (HMSI) today launched the fourth-generation model of its top-selling 110 cc scooter - Honda Activa. Priced at ₹ 50,730 (Ex-showroom, Delhi) the new-gen Honda Activa 4G now comes with a BS-IV compliant engine and Automatic Headlamp On (AHO) function. This is HMSI's second launch in India this year after the new-gen Honda Activa 125, which was introduced last month. The Activa 4G also comes in two new options - Matt Selene Silver Metallic and Matte Axis Grey Metallic in addition to the existing colours. Honda launched the 110 cc Activa in India back in the year 2000. In the 17 years of its existence, the Honda Activa has seen several cosmetic changes, generation upgrades, and a couple different iterations as well (Activa i and Activa 125). Last year the Honda Activa surpassed the Hero Splendor to become the largest selling two-wheeler in India, and it still holds that spot. Speaking about the new Honda Activa 4G, Yadvinder Singh Guleria, Senior VP - Sales and Marketing, Honda Motorcycle and Scooter India said, "With trust of over 1.5 crore Indian families, Honda's iconic Activa is the first automatic scooter to become not only India's but also World's Number 1 selling two-wheeler in 2016. The fourth generation BS-IV complaint upgrade of the most loved family scooter -Activa 4G is ready to delight customers once again with added convenience of mobile charging socket & new colours." Coming to the scooter itself, the 2017 Honda Activa 4G continues to be powered by the same 109 cc Honda Eco Technology (HET) engine, but as mentioned earlier, it is now BS-IV compliant. The motor is capable of churning out 8 bhp at 7500 rpm and develop a peak torque of 9 Nm at 5500 rpm while mated to an automatic CVT gearbox. While the basic design of the scooter remains quite similar to the previous model, it now comes with better styling and some new features. The front apron design has been revised and now it comes with sharper character lines. The Activa 4G comes with a mobile charging socket now along with features like - tubeless tyres, large under seat storage space, comfortable riding position and more. 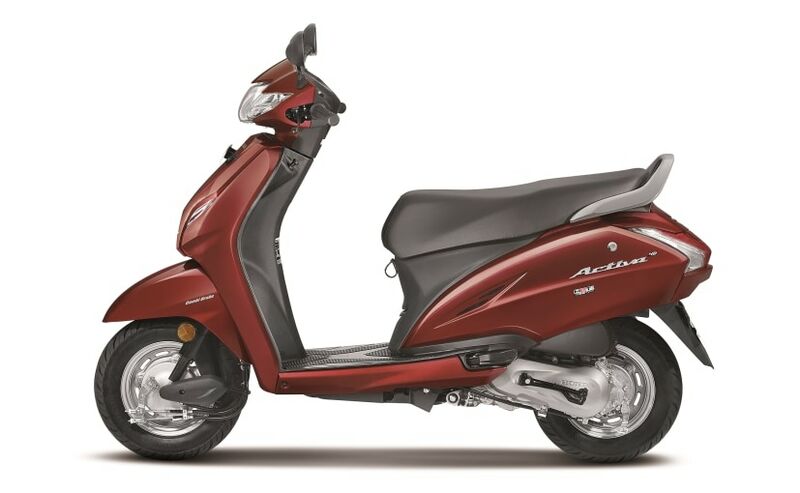 The Honda Activa 4G also comes equipped with Combi Brake System (CBS) with Equalizer technology.